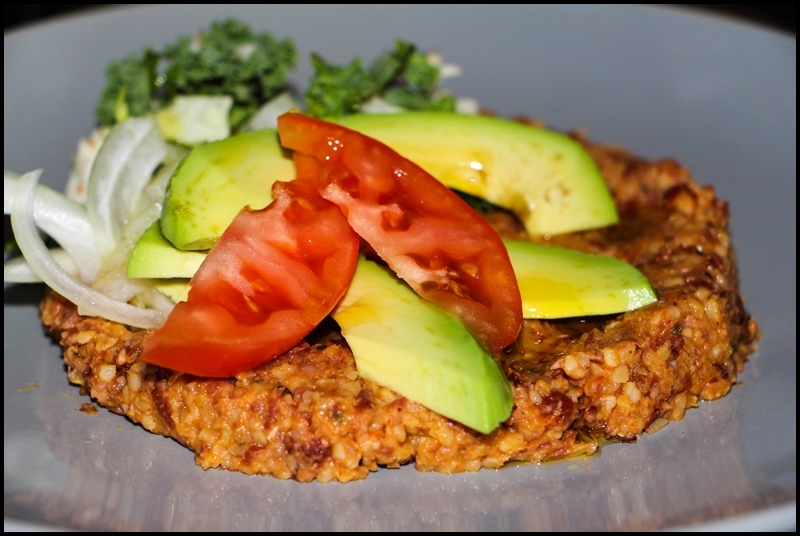 Urban Simplicity: Red Bean Kibbeh "Nayeh"
The national dish of Lebanon is kibbeh, an emulsified paste of the freshest lamb and bulgur wheat. Think of kibbeh as a sort of Lebanese paté. Originally, kibbeh was made by pounding lamb with a jorn (mortar) and modaqqa (pestle), then kneading in spices and soaked bulgur. To some, that are unaccustomed to this procedure, this can be an unpleasant sight. The informative English food writer George Lassalle, in his book Middle Eastern Cuisine, East of Orphanides, describes kibbeh-making in the rural villages of Lebanon as "frightening." He found the incessant pounding and kneading of the meat and bulgur both dreary and alarming. With the advent of the electric grinder and food processor this ancient method of kibbeh-making has all but stopped, except in the most rural villages. Often in American cities with large Lebanese and Syrian populations you'll find butchers that specialize in "kibbeh meat": lamb that is ground two or three times to form an emulsification. 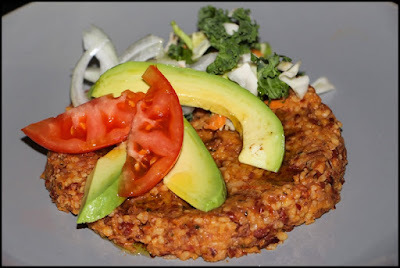 Kibbeh can take on many forms, the most famous being kibbeh nayee (raw kibbeh) which is somewhat like steak tartar. Two other common forms of the food are kibbeh bil-saneeya (baked kibbeh) and kibbeh rass (fried kibbeh), both of which usually contain a filling of cooked meat and pinenuts. Baked kibbeh is layered in a pan with its stuffing and drizzled with olive oil, while fried kibbeh is shaped into miniature hollowed out footballs and then stuffed before being fried. If you'd like other versions of this recipe, click here, and if you'd like other Lebanese inspired recipes, click here. The recipe for the one picture is below. 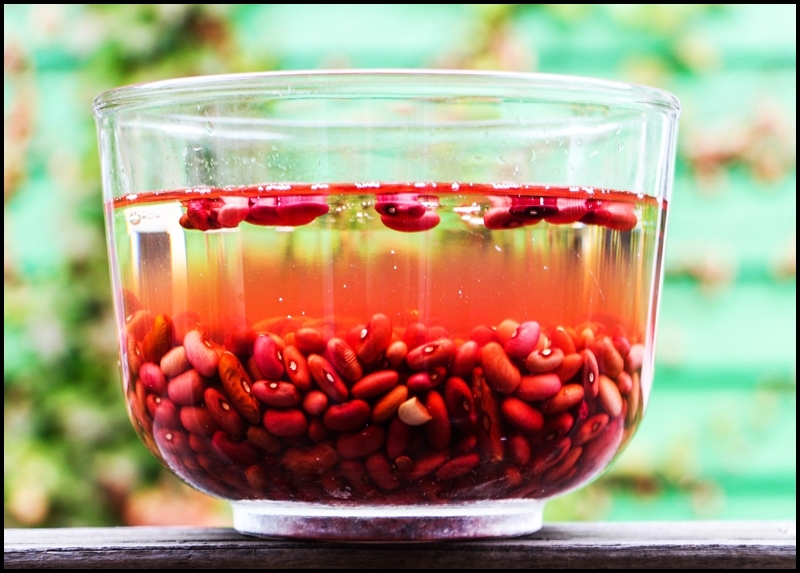 Combine the beans with 4 cups of cold water in a bowl, cover it and allow to soak at room temperature overnight. Place the soaked beans in a pot and cover with fresh water. Bring the beans to a boil, then lower them to a simmer. Cook the beans for 1-2 hours, or until they are soft. During the cooking if too mach water evaporates add additional. Drain the beans and transfer them to a bowl. Combine the bulgur and sun dried tomatoes in a bowl and pour the 2 cups of hot water over. All this to rest for about 20 minutes. Drain the bulgur and sun dried tomatoes, pressing out as much liquid as you can. Transfer this to the bowl containing the beans. Add the remaining ingredients to the bowl as well, the ½ cup cold water, onion, garlic, olive oil, lemon, mint, smoked paprika, cumin, allspice, kosher salt, and cayenne pepper. Mix everything together then transfer to a food processor. Process the kibbeh in pulses, until it is homogeneous but still coarse. Transfer the kibbeh to a platter and smooth it out. Drizzle with virgin olive oil and garnish with your favorite ingredients. Serve this with traditional flat bread. The kibbeh can be eaten, hot, room temperature, or chilled.